The Johnson Family of Kemper County, Mississippi – For the Descendants of John "Jack" Johnson exploring the past, sharing the current, and reuniting family. The purpose of this ancestry site is to preserve our family history. To encourage our children to embrace their past and go into the future with educated minds, a strong work ethic and loving hearts. Go to Updates page to see recent additions. Click on the names at the top or bottom menu to go to a different page. Please be patient and check back often as we relocate hundreds of files, research, and photos of our Ancestors to this website. We will be listing added descendants and subsequent generations. Contact us with any corrections or questions. Frequently, our ancestors dates of birth and death vary on different documents including wrongly chiseled gravestones. We list according to many factors. We welcome submissions. Please share by contacting us at this site. John "Jack" Johnson, our progenitor was born between 1820-22. Jack was enslaved in North Carolina, Alabama, Louisiana, Mississippi. 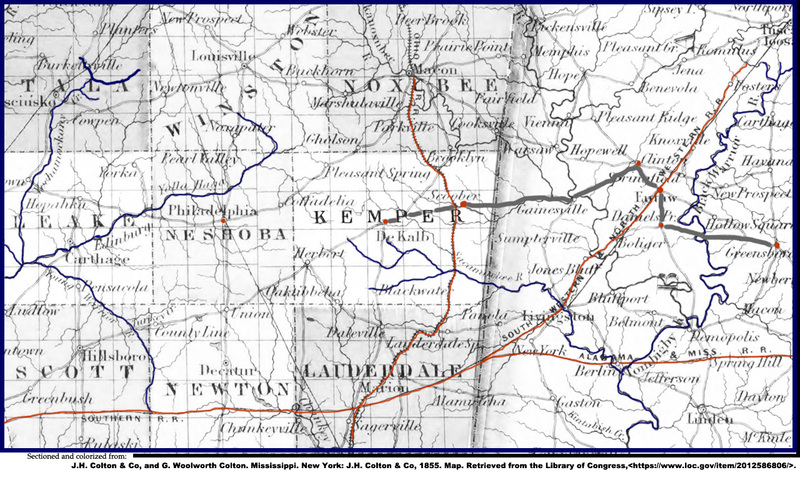 Oral history suggests unconfirmed locations of Tennessee, Virginia and the Caribbean Islands. Jack brought his family together in Kemper County, Mississippi to flourish amidst racial strife. Jack had twenty children. The first ten children were with wives; Carolina, Joanna, and Abby Jane. These descendants were known as the "first set". The "second set" were with wife Hettie Brown. Hettie Brown, born in Alabama was raised by her mother Louvenia Brown. She was Jack's wife after enslavement and bore him ten children. Strength of family, hard work, and education created successful and loving descendants. John "Jack" Johnson traveled to several states and searched plantations to bring his separated children home after the Civil War. Jack found and gathered 9 of his 10 children that were enslaved. He couldn't locate one child named Rufus. He never stopped looking for his child till his dying day. His son Henry Johnson continued to search as well after Jack's death. For over a hundred and fifty years the family gave oral history about Rufus Johnson. Many thought it to be folklore. Many believed. Many were saddened by the story. I was one of the the descendants filled with sorrow and determined to find what happened to Rufus. I have found documentation that one of our family's slaveowners died in 1856 and that Rufus was distributed after the estate was probated in a Greene County, Alabama court. He and other family members were nothing more than a piece of property listed with the mules and horses. On New Year's Eve, December 31, 1856, Rufus was carried away from the Port of New Orleans to the Port of Galveston on the steamship Atlantic. Rufus was taken with two other slaves to Cuthbert Lewis Price's plantation on Price's Mountain in Anderson County, Palestine, Texas. On New Year's Day 1857, ten year old Rufus awoke without his family. He never saw them again. He never experienced their love again. We are searching for the possible descendants of Rufus to unite the family for Jack Johnson. Rufus : Never Forgotten. Always Loved. 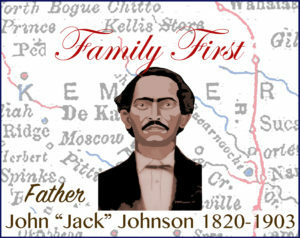 This site is for descendants of John "Jack" Johnson. A page is dedicated to each of his children's descendants. A branch of your Family Tree will be listed on each page. We will not post surnames of living individuals. In addition we will have sections for photos, historical and current stories. This is a public site so be mindful of what you want posted. Privacy is based on your own contributions. Send via the contact us link or by personal email. Advise if you want to be point person for your branch.